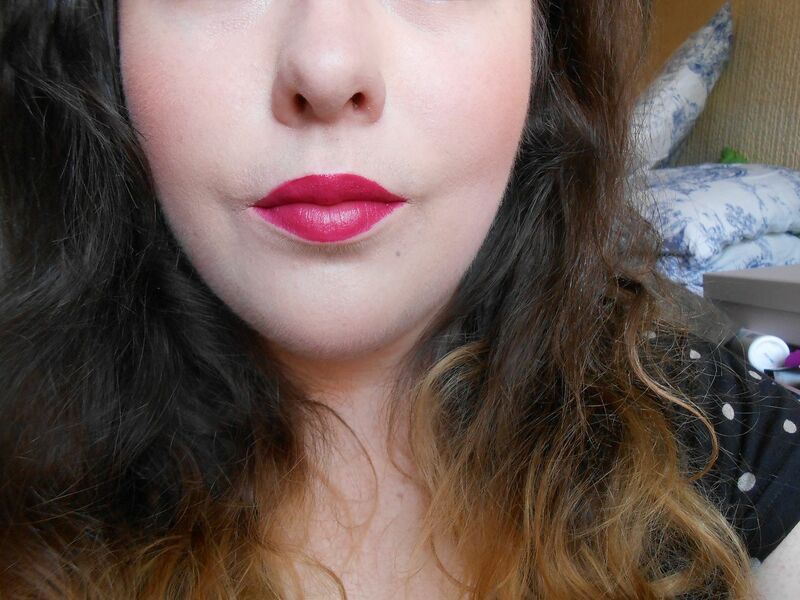 I was lucky enough to be gifted not one, but two, lip maestros for Christmas! Muchos Gracias. The lip maestro’s are liquid lipsticks that dry to a Satin finish. I prefer the Satin finish to something more glossy, I think it looks more sophisticated. They are highly pigmented and long lasting. You only have to dip the wand in once and it’s more than enough to coat the whole lip. 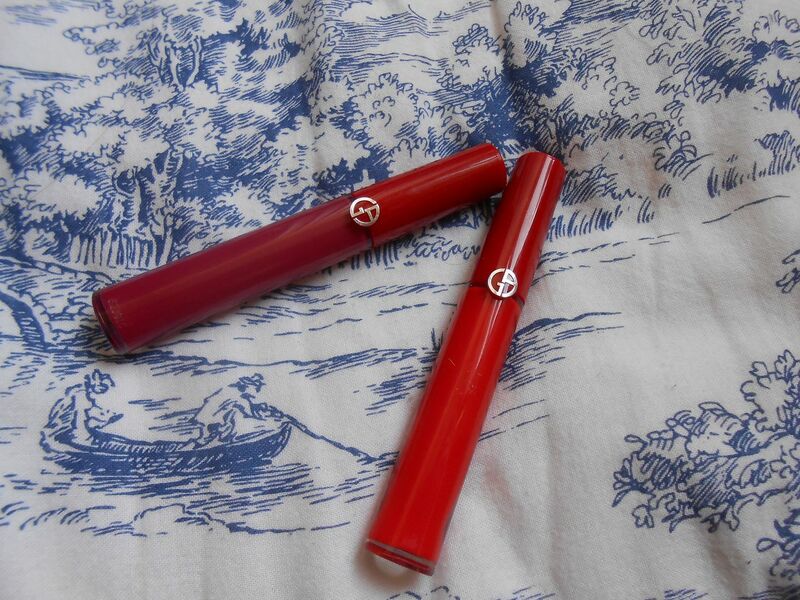 The applicator is also really easy to use – it’s thin and bendy and curves around to fit your lips easily. 502 is a berry purpley colour, I love it! It’s a really nice balance of pink and purple and looks dramatic, but not too much for the day. 401 is an orangey red, which looks so nice and summery. 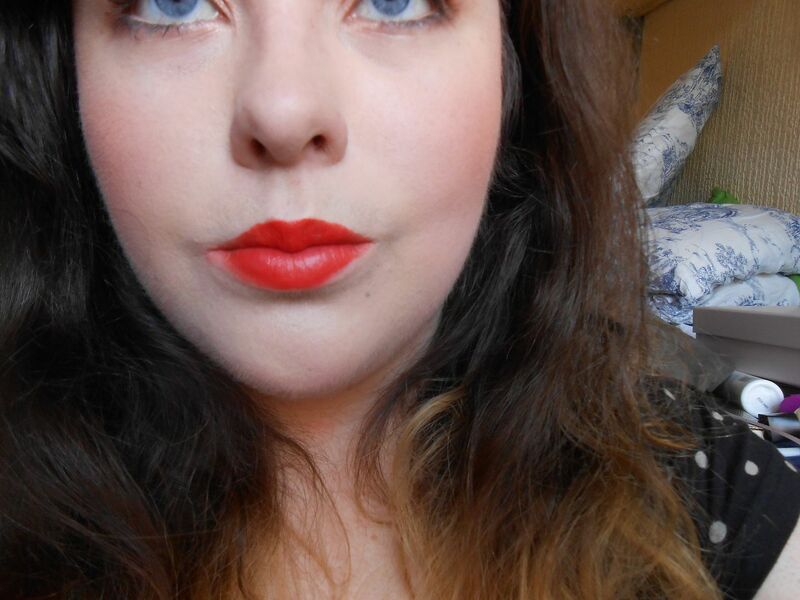 I love orange shade on lipsticks, they go nicely with my eyes. 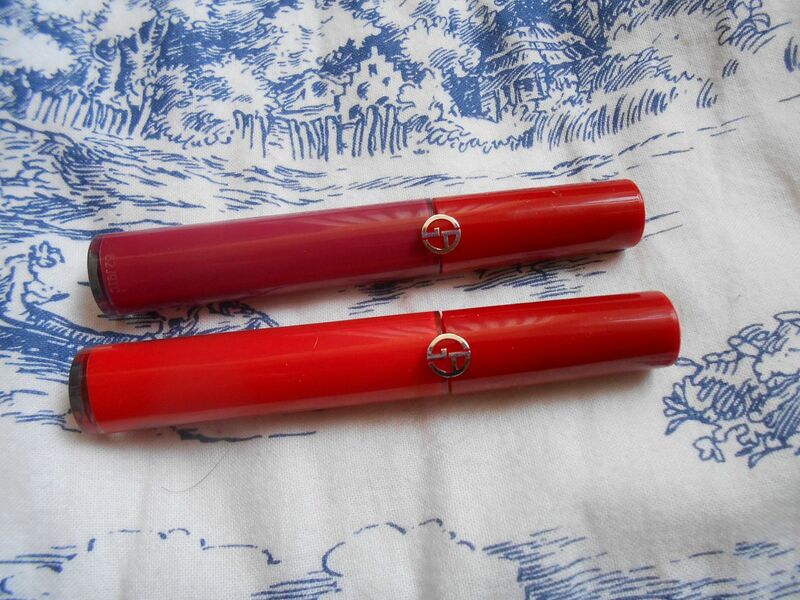 I think these are pretty similar to the Rimmel Apocalips, but the Giorgio Amani are much better quality and they last longer on the lips. What do you think of these? 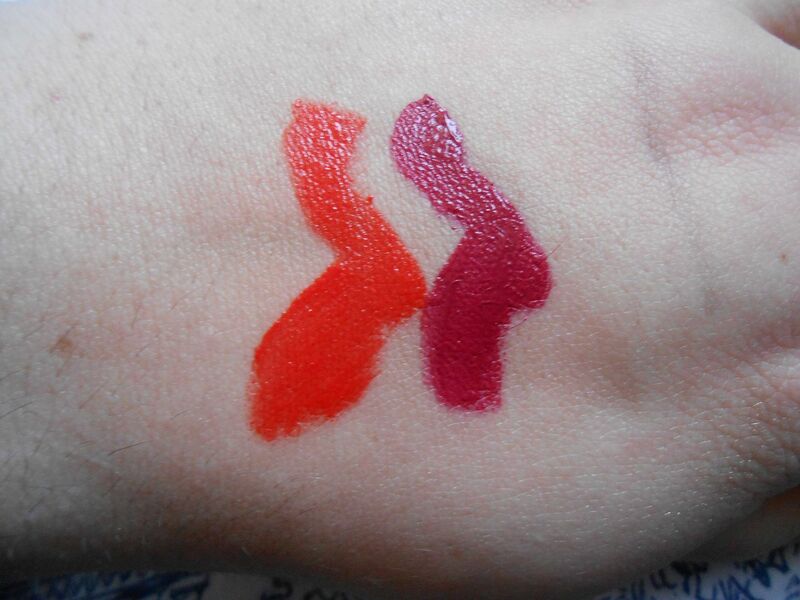 Do you like liquid lipsticks?